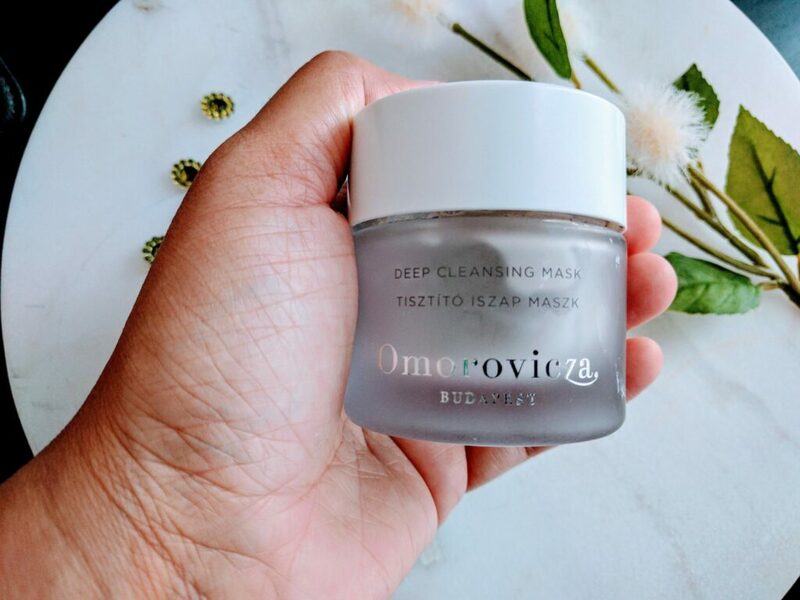 Masks are everywhere and when it comes to the best one’s, Omorovicza Deep Cleansing Mask is raved about and loved by the best beauty and skincare guru’s out there. I know we hear the word deep cleansing in every other product but do we really know what ingredients in them deep cleanse the skin? 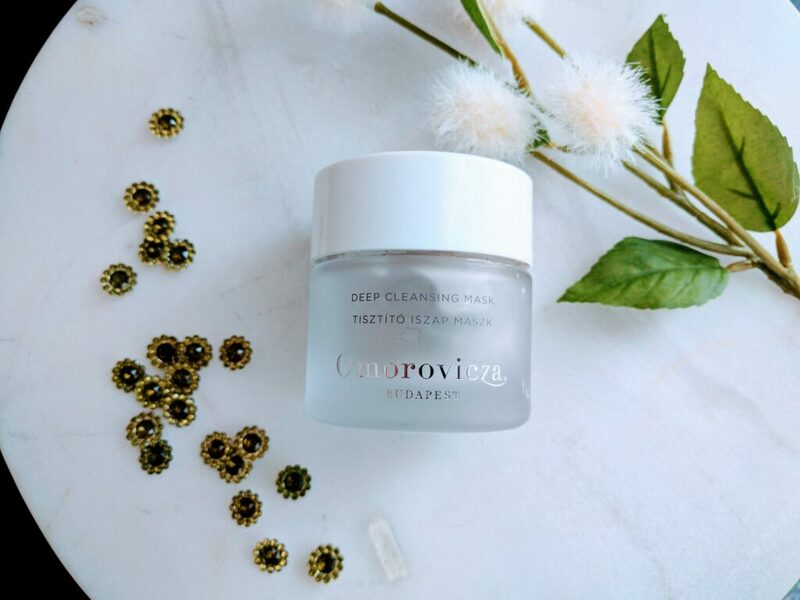 Omorovicza Deep Cleansing Mask has calcium, magnesium, zinc, and copper which helps re-energise and brighten the skin, evens out the skin tone, controls shine and draws out impurities. So now you know how good the main ingredients in this mask are. Now lets come to my story of how I bought this. Actually, I got a sample of this mask as a gift with purchase and I loved it. I bought the full size and as you will see in the pictures that I have few uses left of this mask. The outer packaging of this mask I still remember is very protective of the inner heavy glass jar. 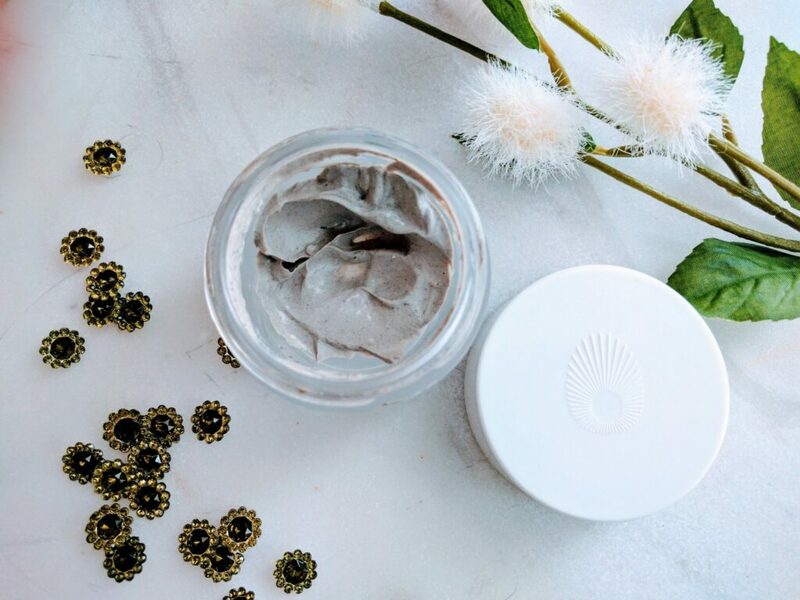 The heavy glass jar of this mask is very solid and feels luxurious. The product inside is a light gray colored thick substance that is both soft as cream as well as a little paste-like. I have used this mask both with my finger tips and with a face mask brush, works equally well both ways. What I have noticed is not to use this mask as a once-in-a-while kind of mask but to be regular with it. The reason is when I use it after few weeks, it draws out the impurities and I get some breakouts but if I use this twice a week, it keeps the zits away. For this reason, I somehow disliked it at first and then I knew the secret to use it. I have used this mask ( and a deluxe sample before I bought the full size) for over a period of more than 4 months and I am a fan. I do have a good collection of masks and this is going to be a staple in my collection. I use this mask after cleansing my face, I apply a thick layer of this mask on my face and upper neck for over 25 minutes, then I wash it off with lukewarm water. It feels very smooth on the face and while washing it off, it feels like you are rinsing off some cream mask. 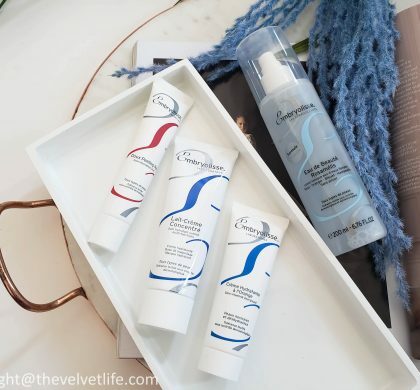 Afterward, the skin does feel fresh and clean, no dryness or irritation. 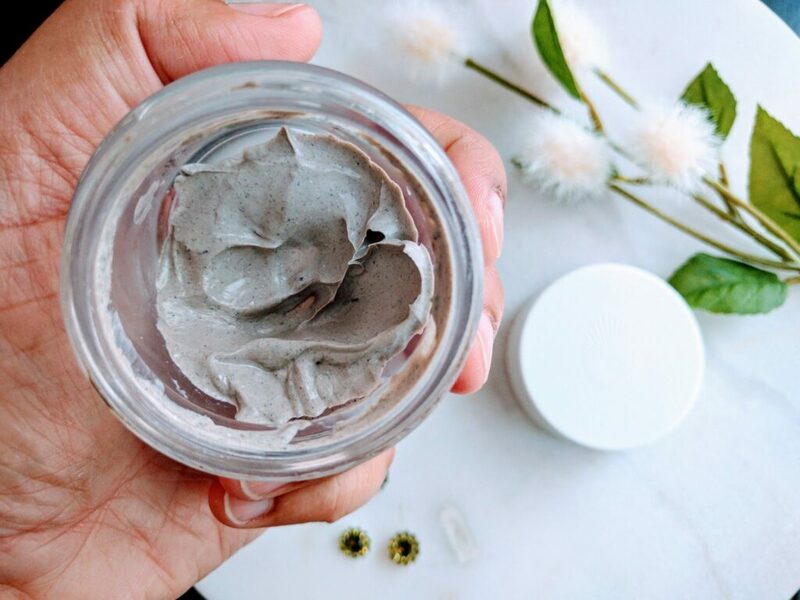 I have used it both ways as a twice per week full face mask and as an overnight treatment for my jawline where the breakouts are prone to occur every month due to hormones. I would totally recommend this mask. This mask retails for CAD $150 excluding taxes and it said to be okay for all skin types. 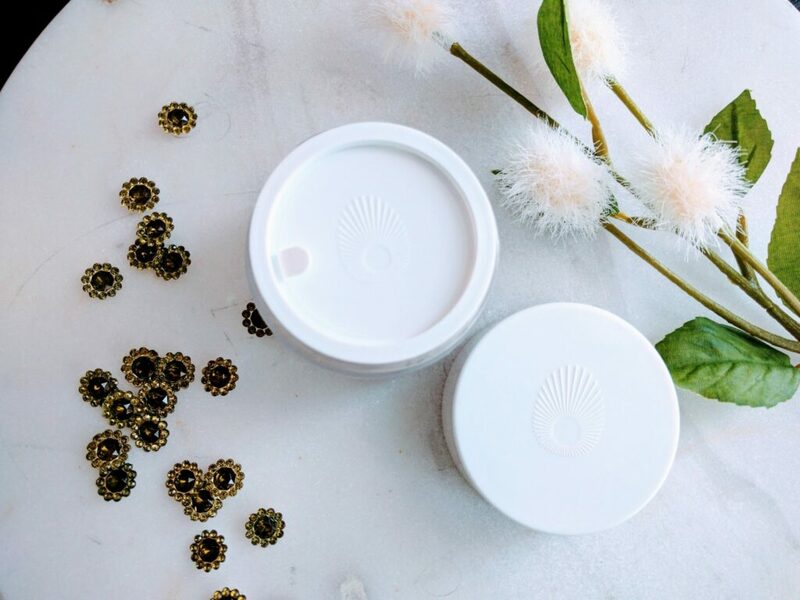 Omorovicza ships worldwide from the official website and this is also available at Sephora and other multi-national vendors like Cult-Beauty. 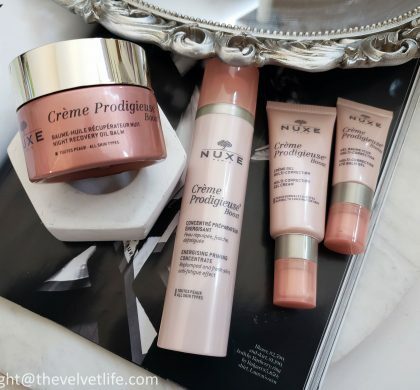 Do you love masking? 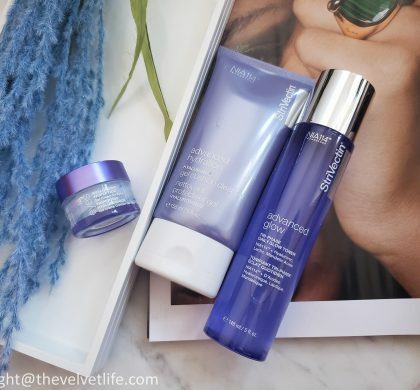 Which is your favorite deep cleansing mask?